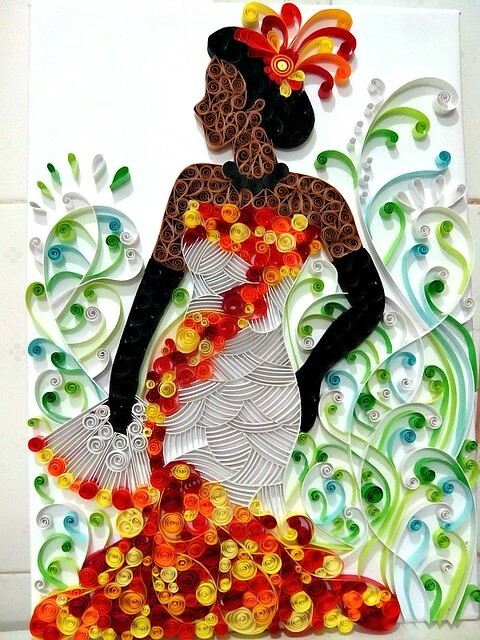 Today I would like to introduce Ayobola Kekere-Ekun, who has created some pretty phenomenal art pieces despite the fact that she only began quilling a year or so ago. 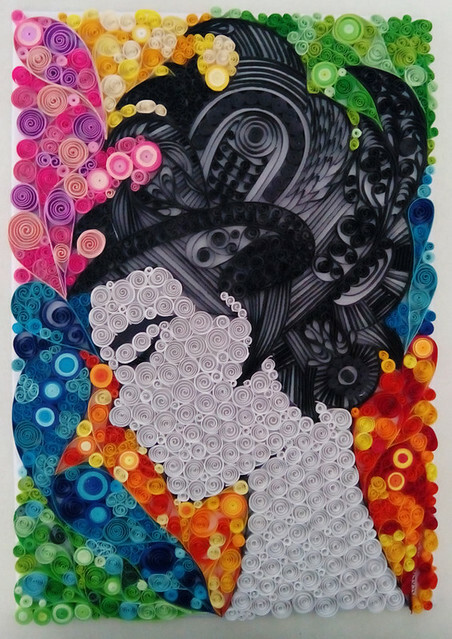 Ayobola grew up in Lagos, Nigeria where quilling supplies are not available. In fact, at first she didn't know there was such a thing as she had come upon the technique quite naturally. 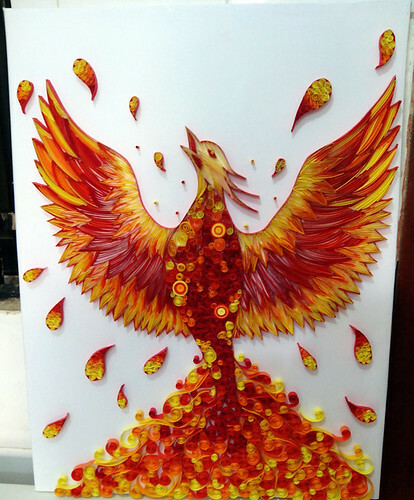 How did you happen to begin quilling? I discovered paper by accident in my final year of university. I was brainstorming for my last practical project, and during one of my experimentation sessions I realized I could glue a strip of paper on edge and it would hold. It was such a liberating moment for me. I imagined that someone out there had to have figured this out as well, so I went online to look it up. 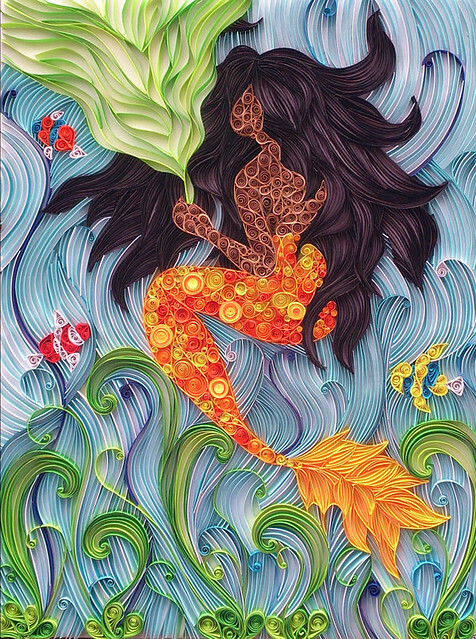 I learned it was called paper quilling and I discovered some incredibly inspiring quillers and paper artists. I’ve definitely come a long way since my first piece. I’ve had to figure a lot of things out through trial and error. I’m still learning and experimenting even now. What do you use to cut your strips and what width are they? In the beginning I would cut my strips by hand with a ruler and pen knife. I then discovered the guillotines used in printing presses so now I buy paper in bulk and cut them there. I mostly make my strips 1cm (0.4 inch). It gives enough depth to keep things interesting. I also didn’t have access to a quilling tool originally so I would roll by hand. I guess I’ve become really used to it because now that I do have a quilling tool I find it slows me down and rarely use it. I noticed that some of your quilled works are quite large - one is 3.5 feet x 5 feet! Also, I'm impressed at the perfection of your finger rolling skill, something I've never been able to master. Do your hands bother you after so much coil rolling? Mostly, the larger sizes I work on tend to be about two feet by three feet, while the smallest are about A3 unframed (29.7 x 42.0cm or roughly 11.5 x 16.5 inches). My hands don't bother me at all. I'm not sure why; I find it quite comfortable and easy to roll by hand. I only use a quilling tool when I need a tight coil. The complexity and almost paisley effect of some of your designs remind me of doodling or even the popular form called Zentangles. Do you enjoy doing those? No, I've never heard of Zentangles. I just sketch whatever comes to mind and refine the sketch till I'm satisfied. I'll definitely look it up though. How do you go about starting a design? The most important part of every piece I do is the planning stage. I do lots of sketches to explore whatever idea I have. I don’t touch a strip of paper until the piece is at least 70% clear in my head. The unclear 30% tends to sort itself out as the piece progresses. Are you currently working as a graphic designer and quill for pleasure? I wouldn’t say I quill as a hobby. It’s not my full time job, but it’s definitely bigger than a hobby to me. Right now, I think of it as my second awesome job, freelance graphic design being my first awesome job. 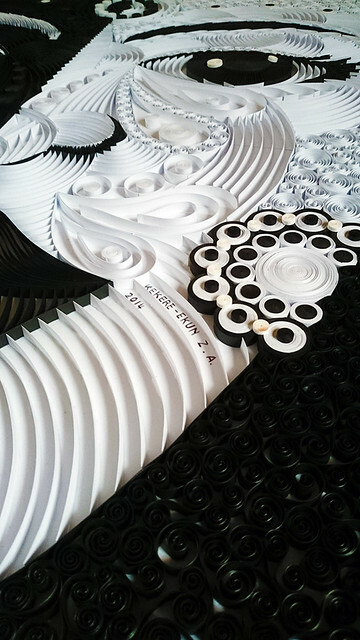 Have you been able to incorporate quilling into your graphic design work? So far I haven’t had the opportunity to incorporate quilling into graphic design, but it’s something I’m eager to try. Thanks Ayobola and best success to you! 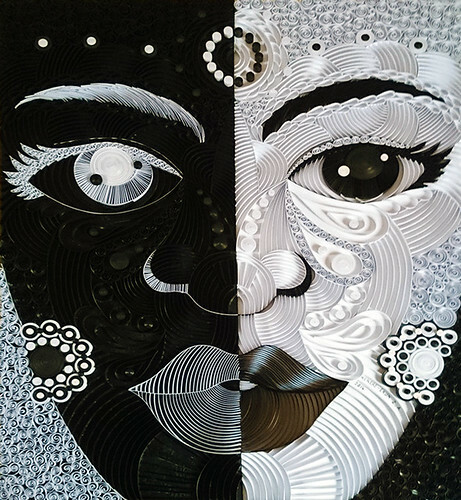 Check out more of her work on Behance. wow her works are so beautiful, I'd love to try something like these, maybe one day !!! Wonderful work, I love Belle of the Ball. I love her bold use of color - and the shades within those colors! Amazingly beautiful work! I can't stop looking at them. And, the colors are just gorgeous! I love her choices of color. I love that you got her to tell a little about the process. It makes the art so much more interesting when I know a little about the artist. Thank you! Bravo ! I have seen quillers from all around the world on Internet, but so rarely in Africa, I'm very happy to admire Ayobola's creations ! Incredible pieces... and such humble beginnings! She is very talented. So glad you all enjoyed meeting Ayobola. Thanks for your enthusiastic comments! Totally UNIQUE....beautiful works or art!!! amazing!!! 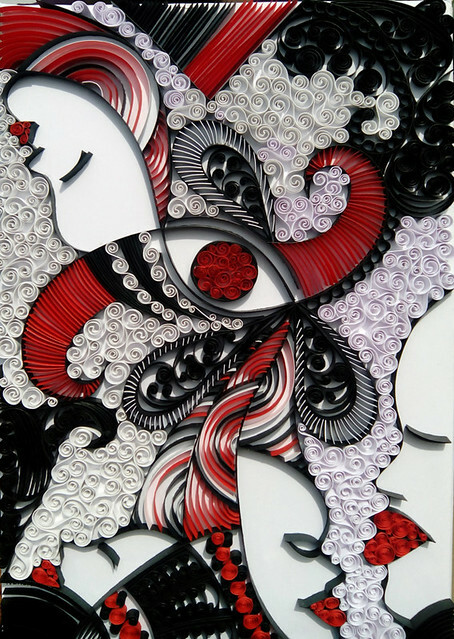 I love how each talented quiller bring so much freshness to Quilling and keep us all interested.